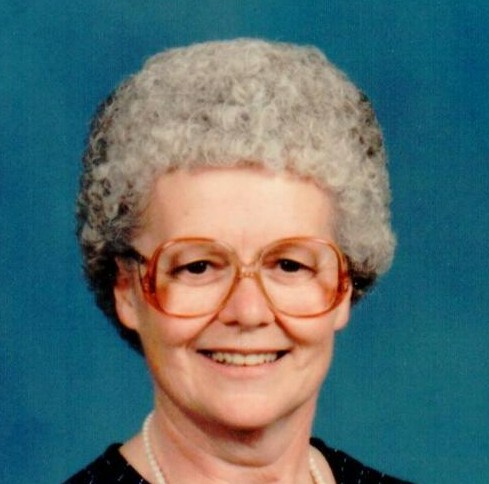 Obituary for Betty Anne (Donley) Hanson | Fleming & Billman Funeral Directors, Inc.
Betty A. Hanson, age 84, Jefferson, under hospice care, died Wednesday evening at her residence with family by her side. She was born August 14, 1934 in Weirton, WV, the daughter of John R. & Gladys A. (Bearden) Donley and has resided in this area much of her life. She graduated from Howland High School. Betty was married to Morris G. Hanson on June 4, 1955 at the Jefferson Church of the Nazarene. She was a secretary for many years for Jim David Realty. Betty was a very active and involved member of the Jefferson Church of the Nazarene. She was a great cook and always had homemade bread for her family to enjoy, she loved being a grandmother and great-grandmother, playing with toys as little ones and being a sports lover always attended their sporting events. She loved visiting and being with extended family. Survivors include her husband, Morris; four children, Karen (Ron) Fitzwater of Jefferson City, MO, Larry (Cathy) Hanson of Deland, FL, Linda (Arnie) Nagle of Jefferson & Sherri (Moises) Solano of Jacksonville, FL; 11 grandchildren and 23 great-grandchildren. She was preceded in death by her parents; great-grandson, Benjamin Fitzwater and brothers, Jack & Carl Robert Donley. The Fleming & Billman Funeral Directors and Crematory, Jefferson, Ashtabula & Geneva is honored to serve the Betty Hanson family. Visit fleming-billman.com to view obituary, express condolences or light a candle.